Make up any two unrelated words and put them together. Then see that you can make sense out of them. If you want to, make up a title or concept. Think of a few terms that are involved in the subject. Don’t be concerned about making a coherent phrase or sentence out of them. Then put them together. It will make sense in some abstract and probably interesting way. The mind even enjoys connecting such things together. 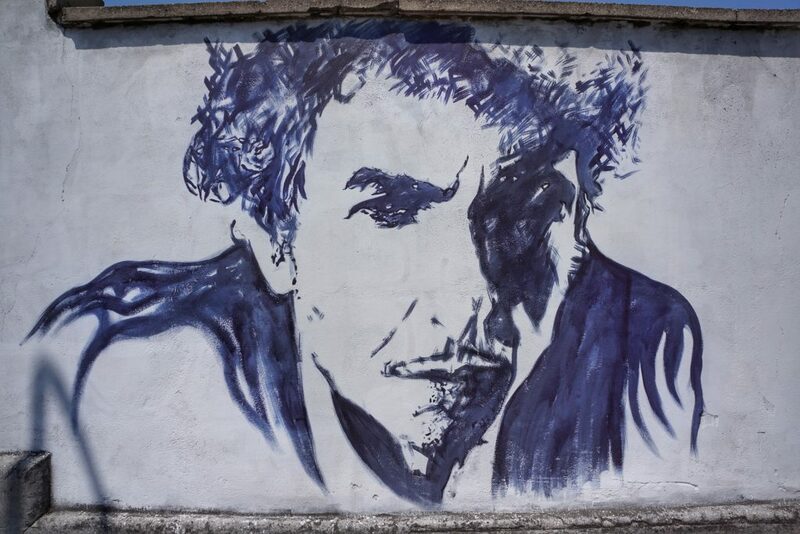 As a teen, I used to say that Dylan would go down as the greatest poet of the twentieth century. Now, many say that. Interestingly, Dylan himself has said he no longer has that ability. In a way, genius is elusive, even though a person may be brilliant. Also interesting, it has been said that most brilliant works came about like Dylan’s, when the genius was in their twenties or early thirties. I believe the key to understanding Dylan’s lyrics often is in feeling how the words make you feel… how he must have felt to write them. He captures subtle, elusive, abstract, yet often universal feelings with his words. He makes compelling points not just with reason, but by conveying shades, hues, as well as passions and convictions with the feelings he conveys. That is just my perspective on his genius. I’ve enjoyed going over various lyrics of his in some of our classes. Referring to his young idealized ‘crimson’ notions… passions, convictions, and black and white ‘clarity trips’. Dylan starting with the word “crimson” is, in itself, a good example… feeling of noble, god-like, royal, passionate, lofty, superior. Sarcasm is common in his lyrics. It’s source, I believe, is that he conceptualized the Transcendent (for example, his song “Gates of Eden”), but had no clear and direct experience of it. So, the dichotomy of relativity verses the Absolute, the resolution of paradox, eluded him. Still today, people cling to their clarity-trip, belief system perspectives as truth. Even to the extent that they wage war and devote their lives to them, limited as they are. Life is paradox. It is one thing to understand that intellectually. It is quite another to live it, to be unbounded—free of limitation. Realizing now that his thoughts were narrow, belief system traps. Referring to how he attacked world events with his perspectives. His perspectives led him by the nose. Cutting edges of debate, confrontation, etc. He was ready to fight proudly for his perspectives. The Phase 2 Advanced Techniques Course was great. I am missing all of you already. Every year for some time now, I gaze at the Guru Purnima moon while alone in my backyard after midnight. I am overtaken by the same feeling: soft, loving, reverent, but also somehow pondering the challenges and obstacles faced in raising global consciousness. I was very much impressed by all of you. The maturity with which you held yourselves and the course was so appreciated. And how well you did with the techniques was extremely gratifying. I continue to learn from you how best to convey these techniques. Thank you all so much for your wisdom, love, and support.